Hello The Grail Churros & Ice Cream. 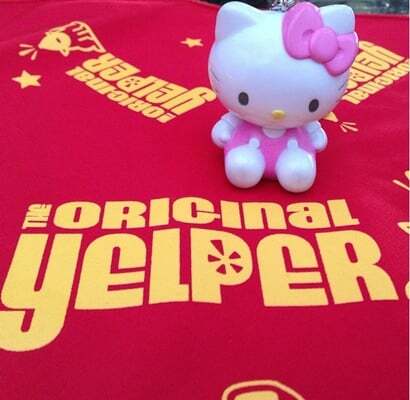 Wanderlust is defined by the strong desire to wander and for this Hello Kitty Foodie, I often find myself wandering to the hottest and sweetest spots in town. Such was the case when I found myself “wandering” to The Grail Churros and Ice Cream shop in Redondo Beach. The Grail Churros and Ice Cream is a new sweet shop that recently opened up in Riviera Village in Redondo Beach. Specializing in churros and ice cream, it is truly a gem of a place. The fact that their name is “The Grail” is perfect; as it symbolizes the prize at the end of wandering. Each of their offerings here is indeed a prize. One has the option to choose between a sixteen inch churro stick with dust, glaze and toppings, a cup/cone of ice cream or even a combination of churro and ice cream via their Sahara tent; ice cream plus churro or their sandstorm; churro ice cream sandwich. They also have signature churros via their matcha churro, campfire churro, magic wand churro or the churro con cafe. The campfire churro is similar to a s’more; with the churro dusted with honey graham crackers, glazed with melted marshmallow and drizzled with hot fudge and mini marshmallows. The magic wand is indeed magical as it glazed with purple cosmic dust and is sprinkled with colorful stars. The ice cream choices here are equally as fascinating as their churro. They’ve got yummy classics like cookie dough and butter pecan as well as exotic flavor like Ube (purple yam) and Langka (jackfruit). Perhaps one may be surprised with the Filipino flair in their ice cream. The Pinoy touch is no coincidence as The Grail is partly owned by the half Filipino Sakr brothers. The Sakr brothers are also the brains behind another South Bay favorite; Torrance Civil Clothing. If choosing between churro and ice cream is hard; the Sahara tent or sandstorm are perfect choices. The Sahara tent is one sixteen inch churro with one scoop of ice cream while the sandstorm is a churro ice cream sandwich with one scoop of ice cream, choice of dust and one topping. Dust options are matcha, signature cinnamon, spanish espresso or cosmic; a lovely purple dust topping. Toppings include honey graham crackers, sprinkles, m&ms, captain crunch cereal and more delights. Upon my trip here, I chose to get a sandstorm dusted with cosmo dust, paired with langka ice cream and topped with Captain Crunch cereal. Sugarlust indeed. Not all who wander are lost…for sometimes it leads you to a sweet prize. For more smiles, please see my Yelp review on The Grail Churros and Ice Cream. Hello Brunch at Restoration Kitchen and Wine!